The Dong of Nigeria are located in the Binyer district of Adamawa state. Some also live in and around Donga in Taraba state. Their area of habitation is watered by many rivers, making the soil quite fertile. Although mountains are located throughout the area, the people are concentrated in the plains, engaging in subsistence agriculture. 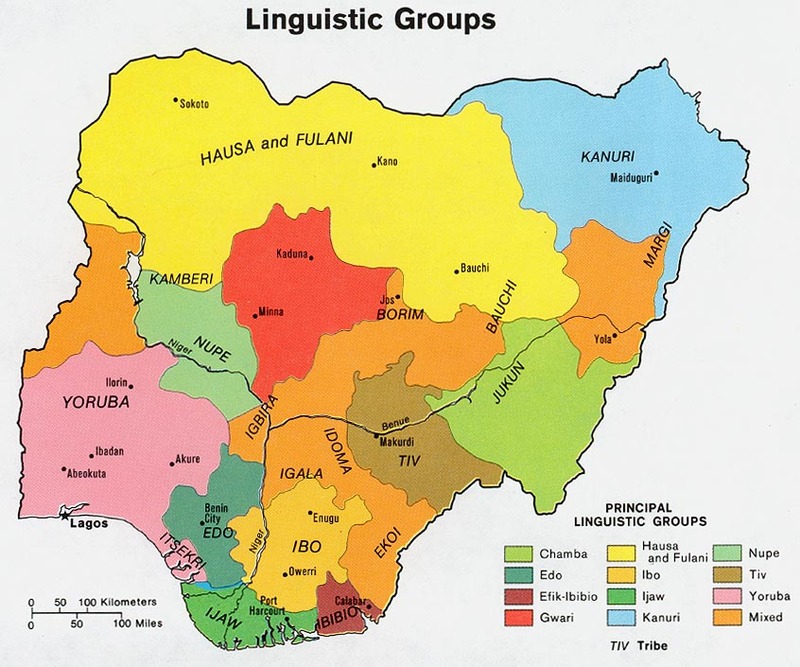 Hundreds of years ago, the Dong, included in the larger Chamba people group, migrated from the Middle East and traveled through Chad and Borno state to the Benue Valley of Nigeria. They were driven away from there by the Bata and eventually settled in Yeli in Cameroon. In the early nineteenth century, the Dong lived in harmony with the Fulani and often intermarried with them. A few decades later, however, the Fulani suddenly attacked them, killing their chiefs and forcing them to flee from their settlements in Cameroon. The Dong eventually settled in their present locations in both Nigeria and Cameroon. The Dong are divided into clans or kindreds. Each kindred has a leader or head, who is chosen not for seniority, wealth, or power, but for knowledge of traditional customs and religious rites. This leader is responsible to the chief for the members of the kindred that he leads. When a Dong youth is near fifteen years of age, he is circumcised, along with other boys from the same age group. The boys remain camped outside the village in the bush for two months following the circumcision, where they are taken care of by the priest until they are healed. During this time, the boys are taught different crafts and are trained for war and difficult times. Initiation into the ancestral cult also occurs. When the boys are healed, they return to the village, where a festival celebrating their circumcision and entry into manhood is held. At this time, the process of selecting a wife will begin. A girl and her paternal aunt decide which proposal of marriage the girl will accept. When a young man is chosen, he will bring many gifts to the girl and her family and will work with his friends in the girl's parents' farm until the marriage is consummated. The girl's aunt collects the bride-price and sets the wedding date. She is also responsible for the naming of her niece's children. Much respect is given to a paternal aunt, as she is believed to have the power to bless or curse. The Dong are an agricultural people, growing guinea corn, millet, and a variety of vegetables. Each October, when the grain on the stalks of the guinea corn crop first begins to show, the Purma Festival is celebrated. This is a large, important festival to which the Dong invite some of the people from neighboring tribes. Instead of reflecting an agricultural significance, this festival is more of a traditional, warlike event. The warriors of the Dong are given a royal review by the head chief of the tribe. Much beer drinking, music, and dancing are included in this festival, along with mock battles and attacks. Many of the Dong have become Muslim, due to Fulani influence; however, many still practice their traditional ethnic religious beliefs and practices. The Dong view God as though he were far away , and they believe that they can reach him only through the gods and through the spirits of their ancestors. Each god is worshipped through its own cult. The strongest of these occult powers is the vera god, to whom the Dong sacrifice when things go wrong with a family member. Belief in a women's cult also exists. This cult is believed to prevent war and epidemics and is thought to protect the chief on his journeys. The voma cult is the rain cult. When there is a shortage of rainfall, a flute-like instrument called a voma is blown to summon rain. Though the physical needs of the Dong are many, their spiritual needs are even greater. Pioneer evangelistic works must be launched in order to reach the Dong. * Scripture Prayers for the Dong in Nigeria. * Ask the Lord of the harvest to send missionaries to work among the Dong of Nigeria. * Pray for the few known Dong believers to stand firm in their Christian faith. * Pray that the Lord will bring forth a strong and growing Dong church for the glory of His name!